Hi loves! Don't you just love it when you score a really nice polish for a really low price? It happened to me the other day when I went to the Action, which is a Dutch department store but with really low prices and fun stuff for your home. They had this bunch of Sally Hansen polishes on sale for only €0,99 each! Most of the good stuff was gone already I think but I managed to find Jaded and Resurrection, both from the Complete Salon Manicure line. The normal retail for those is €10,99 here in Holland! Woohoo ^^. Sally Hansen Resurrection is a creamy pale dusty blue shade that photographed way too bright and dark somehow.. Application was (apart from the brush that was wonky) a breeze and the formula flows easy and buttery onto the nail. 2 coats are more than enough to fully cover your nails. I used this on thumb, index and pinky, and the other 2 nails were done using 3 coats of China Glaze I'm Not Lion. This gorgeous glitter takes on a textured finish if you don't topcoat it, and I really like how it looks like that! Application is really nice for such a glitter, you don't have to fidle with it for even coverage, after the first coat the glitter just seems to fill up empty spots by itself with the next coat. What do you think of these 2 colors together? Do you like it? And what was your latest polish score? Cheap lakjes bij de action??? I love China Glaze I'm not lion, it's amazing! The complete salon manicure line is one of my favourites. I love the wider brushes. Wow, love both those shades! 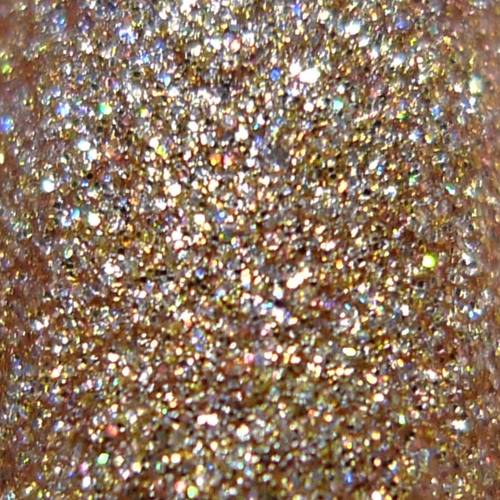 Sally Hansen Resurrection looks absolutely gorgeous, beautiful pairing and great pics! Ok, I'll say it, anything looks good with CG I'm Not Lion! I'm glad I have a back up! And the formula of these CG micro glitters are so freaking awesome, like you said, the next coat just kinda fills in the blank areas. Heb je wat kunnen scoren :D? Yeah I'm so happy I found it! And I am impressed with the Sally Hansens so far, too :). Aww thank you Liz ♥. Haha I think I agree with you Angie :D! And it's really fun to see them build up, I love it ♥.